Offered on the reverse of the coin is a colorful holographic depiction of the traditional fireworks extravaganza displayed in Sydney Harbor every New Year's eve. The design even includes a secret symbol in the center which has yet to be unveiled. 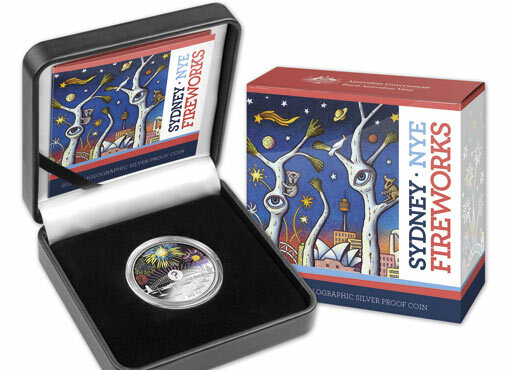 “Each year, tourists and Sydneysiders ask whether they are able to take home a special memory of Sydney New Year’s Eve, so for the first time we’re creating this special piece of memorabilia,” city of Sydney Lord Mayor Clover Moore said. The coin is struck from one ounce of proof quality 99.9% silver. It features a diameter of 40.70 mm. 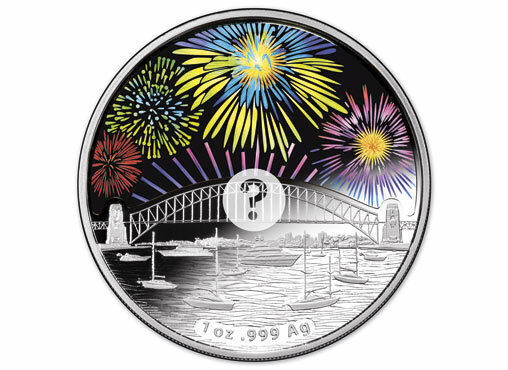 The reverse hologram design changes to show the bursts of fireworks appearing over the Sydney Harbour Bridge each New Year's Eve. 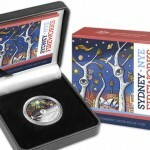 The design is the work of Royal Australian Mint artist Aaron Baggio. This release marks the first of a new ten-coin series. As mentioned, the center will include a special symbol which will be revealed at midnight on New Year's Eve. “The Royal Australian Mint develops coins that capture moments of history and allows the story to be told for years to come, so we see this as being able to share a world-renowned Australian event for years to come,” Parliamentary Secretary to the Treasurer, the Honourable Steve Ciobo, said. Orders for the release will not ship until January 6, 2014. The recommended retail price is $120 including GST. It is available for pre-order from the Royal Australian Mint online shop eshop.ramint.gov.au. Orders are also accepted by calling 1300 652 020. Mintage of the release is capped at just 15,000.